Spent a great morning at Sunrise Yachts, in the Antalya (Free Zone) of southwest Turkey. Opening in 2007 they are just hitting their stride. The company is massive, spread out in 3 separate buildings and was created specifically for construction (also refit) of yachts up to 65m in length. 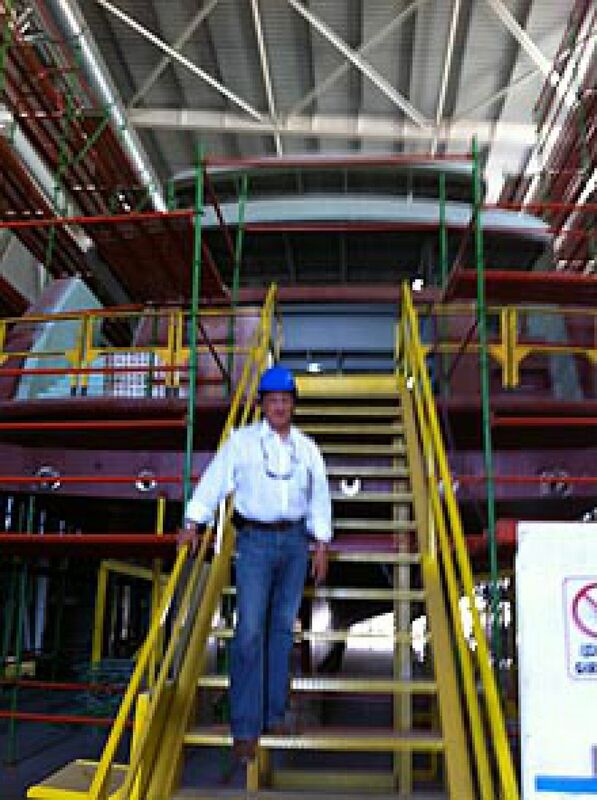 With designs of such famous naval architects as Paolo Scanu and Espen Oeino (of Lurssen fame) in production. Despite being a relative newcomer to Megayachts, there is some serious potential here if organized carefully. With new-build contracts for a second 63m and a 56m they are well postured and managed. Photo Bob Offer at gangway of 45m - finish in 1 year!